HIMYM has never been shy about bringing the crazy. I’m not particularly fond of the elaborate (and often CGI-enabled) fantasy sequences on the show, but clearly, the creators think of them as a signature trope. Fine, I get it. We’re doing a sitcom. It’s not supposed to be realistic. If you don’t go crazy every now and then, the conventions of the form start to seem like a kind of tubular naturalism, trapping you in a tiny box of artificiality, just because you have no established tradition of stretching beyond them. 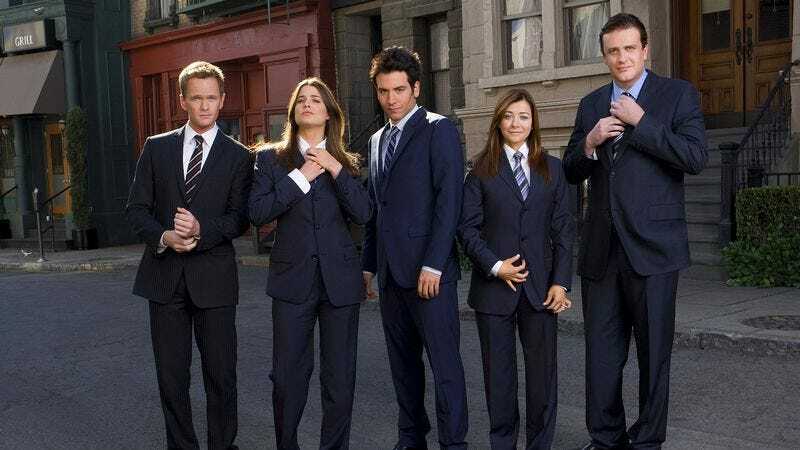 But I’ve always appreciated that HIMYM has tried not to succumb to the sitcom version of love and dating. One could even make a convincing argument, backed with plenty of evidence, that exploding the fantasy version of boy-meets-girl—with its predictable beats and conflicts and reconciliations—is the whole raison d’etre of the show. After all, there’s no better way to subvert those simple arcs than declaring that your whole show will be about tracing their inevitabilities, then drowning them in arcane epicycles and elaborate detours. 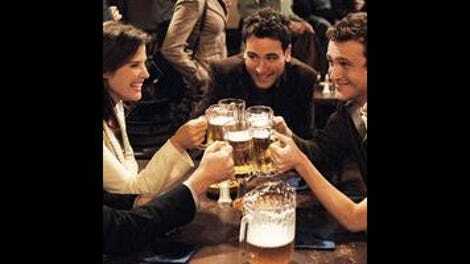 HIMYM has always made a special effort to make relationships the messy, regretful, surprising things they are in real life. And especially, the show has portrayed relationships as largely immune to our willpower. No matter what we tell ourselves, no matter what vows we utter, they are what they are. So I’m tentatively disappointed at the way Ted’s half-hearted efforts to break up with “Bad Crazy” Jeannette fail. Not because he should be able to get her out of his life if he really wants to (see above re: willpower immunity), but because Lily grants him some utterly bizarre permission to indulge his simultaneous fear of and attraction to her insanity. Mike Tyson suggests to Robin that a crazy girls’ craziness is matched or enabled or something by the guy she’s dating, and Lily runs with the theory. You’re kind of crazy, too, she tells Ted, so maybe you need crazy right now. Go be crazy together, temporarily. Now this is sitcom relationship talk, and it’s unworthy of this show. Basically, Lily advises Ted to indulge his worst impulses to get it out of his system. It’s the relationship equivalent of “maybe if you get conked in the head again, you’ll get your memory back!” (Inevitably endorsed with a shrug: “Sounds crazy, but I’m desperate!” or “You got a better idea?”) Interestingly, this is the second recent appearance of the indulge-to-cleanse therapy; just a few weeks ago, Barney argued that Ted needed to bang a teenager so that, by proxy, Barney would somehow be free of those desires. I hated it then, and it hasn’t gotten any better through repetition. I might have forgiven this sin against HIMYM standards of relationship complexity if the episode had been funnier. Unfortunately, the whole thing dragged, with the recurring gags seeming to stretch on interminably like a joke whose punchline nobody cares about once it arrives. (In this case, the punchline is “Senator Mike Tyson.”) His friends convince Ted that Jeannette is not adorably crazy but dangerous crazy, with the aid of a cuckoo clock prop that Barney delightedly pretends to be fixing in order to interject cartoon-y sound effects into Ted’s narrative of their latest date. (“So you rented a Marilyn Monroe movie?” “No, we had a seance.” “Oh, screw loose, that’s the problem!”) It’s a great gag, and Barney’s outsized satisfaction at its elaborate appropriateness really sells it. That, combined with the undercranked Benny-Hill-esque flashback of Marshall and Barney carting their banished bachelor-pad goods into Ted’s bachelor pad—dig Barney carrying both ends of the canoe!—had me hoping the mood of “Bad Crazy” would be classic farce. And around the edges of that plot, there’s terrific work by Neil Patrick Harris and Jason Segel playing dumb to hide their culpability in letting Jeannette infiltrate the bachelor pad (where she barricades herself inside Ted’s room, which he’s stocked with plenty of provisions in case of another superstorm). But at the center, there’s Ted marching upstairs in Barney’s Boba Fett costume and turning into a Jeannette-level lunatic himself because she’s wearing his red boots. To me, he decides she’s a turn-on because the sitcom format demands it, not because it’s something Ted would do, or something that expresses an interesting or poignant truth about non-fantastical, non-contrived, non-sitcom relationships. The other plotline, with Robin avoiding picking up baby Marvin, starts off just as promising; I adore Robin’s half-hearted protest when Marshall volunteers to pick him up instead. But it couldn’t just be a character showcase. No, it had to become a series of flash-forwards in which Robin explains bit by bit, over the course of sixteen years, what happened when Lily left her alone with Marvin in order to retrieve a binky from a bus floor. Maybe it’s because the attempted rebranding of Mike Tyson into a character that we all love (you so crazy, Mike Tyson!) has never worked for me. But the stunt cameo comes off as an extended contrivance rather than delightful surprise. Things Marshall and Barney store in “the clubhouse,” aka Ted’s apartment: A Donkey Kong, Jr., arcade cabinet (with approving nod from Ted, and rightly so), Boba Fett costumed mannequin, cotton candy machine, scooter, horse, and canoe. Some intelligent, forward-thinking New Yorkers took Superstorm Sandy as a wake-up call.